Manufacturer of Radio Frequency Laminating Systems and Service. When you’re having trouble with any brand Radio Frequency Press, turn to ROSENQUIST, LLC. Our knowhow allows us to solve most problems over the phone. 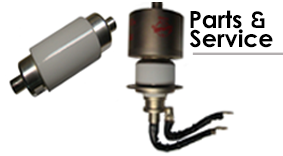 When parts and on-site service are needed, we have you covered. Get the right machine for any job. Our inventory includes an impressive selection of new and used machines, such as gluers, radio frequency presses, embossing presses, and much more, ready to go. Get the most out of your investments and save money. 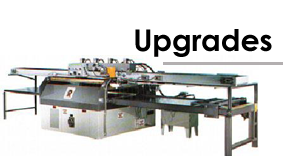 Our machinery upgrades can breathe new life into old woodworking equipment, saving you money while increasing production. ROSENQUIST, LLC is a machine manufacturing and service business based in North Wilkesboro, North Carolina, that provides equipment, parts, service, and support for Radio Frequency laminating equipment worldwide. With more than 40 years of professional experience, we’re focused on providing quality new and reconditioned equipment, parts, service, and innovative technical solutions to the woodworking industry. We offer expert diagnosis, quality parts, and competitive prices on all of our products and services. 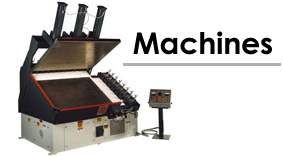 Contact us to discuss how our standard and custom fabricated equipment can increase productivity.